Bacsa - Basculas y Arcas Catalunya. Industrial and commercial weighing. Welcome to BACSA, since 1984 an international reference in the world of industrial weighing, weight indicators, platforms and scales. Product dosing, weighing of trucks, precision scales, hand truck scales, or equipment adapted for use in potentially explosive areas (ATEX) are some of the solutions we have developed. Equipment for all installations like truck scales and its software, wide range of weighing hooks to integrate with any kind of elevation team, and of course with all the required safety certificates. Knowing the needs of the sector, we efficiently cover situations from the easiest to the most complex, with the offer of several ranges of products such as truck pallet scales or forklift truck scales. Weighing equipment for the control of the activity in its stages of collection, processing and dispatch. Weighbridge for trucks, bench scales on ground or built-in, truck pallet scales. Scales to manage inputs and outputs of the product to be recycled. Reliable and durable. Individualization of characteristics, dimensions and features, with specific software that covers any need. Scales for the hospitality industry, especially in stainless steel, for a perfect conditions and resistance to contact with aggressive materials and intensive use. Durable and quality equipment. Very practical solutions such as wheel and axle scale applications with its specific software, suitable for wheel load determination of vehicles. A solution for every need. 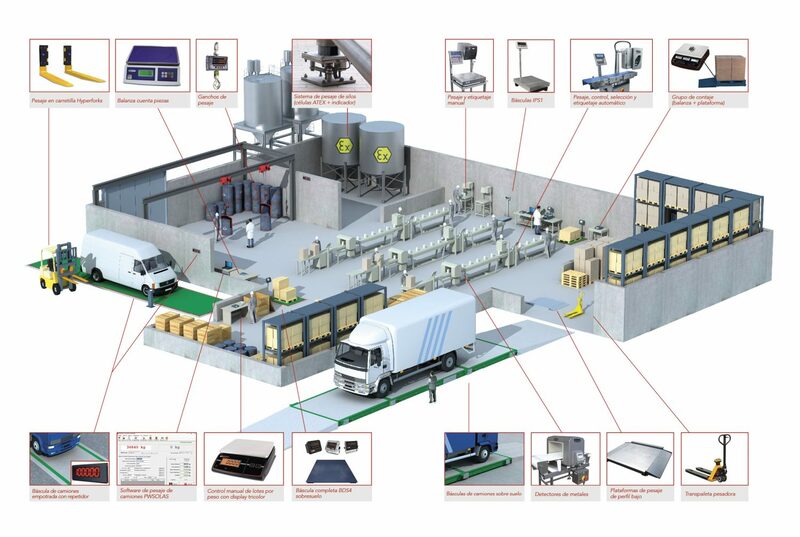 Our wide range of products for scales with single reading weight, parts accounts and weight control, allow us to offer solutions adapted to all applications. Satisfaction of use and sale. Slide on the image and you will discover the reasons why we are chosen as a valuable collaborator. Happen is that at BACSA we weigh everything!